The violent partitioning of British India along religious lines and ongoing communalist aggression have compelled Indian citizens to contend with the notion that an exclusive, fixed religious identity is fundamental to selfhood. Even so, Muslim saint shrines known as dargahs attract a religiously diverse range of pilgrims. In this accessible and groundbreaking ethnography, Carla Bellamy traces the long-term healing processes of Muslim and Hindu devotees of a complex of dargahs in northwestern India. Drawing on pilgrims’ narratives, ritual and everyday practices, archival documents, and popular publications in Hindi and Urdu, Bellamy considers questions about the nature of religion in general and Indian religion in particular. 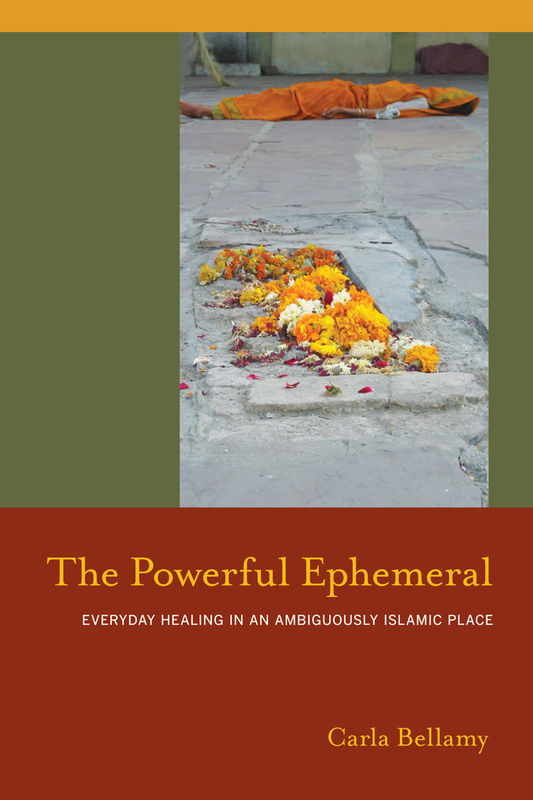 Grounded in stories from individual lives and experiences, The Powerful Ephemeral offers not only a humane, highly readable portrait of dargah culture, but also new insight into notions of selfhood and religious difference in contemporary India. Carla Bellamy is Assistant Professor of South Asian Religion at Baruch College.